His love is so immense……. The images on this mural vary from a black and white house on the upper left-hand corner, a young girl dancing, a young boy holding a basketball, a basketball team in the upper-center, a lady giving a valuable object to a child, on the upper-right corner is a woman that represents a Western/Caribbean/African cultured dance with musical instruments in her hands, on the lower-right hand corner is a young girl smiling, and butterflies are spread out within the mural. This mural has black and white colors but also integrates many different colorful palettes. 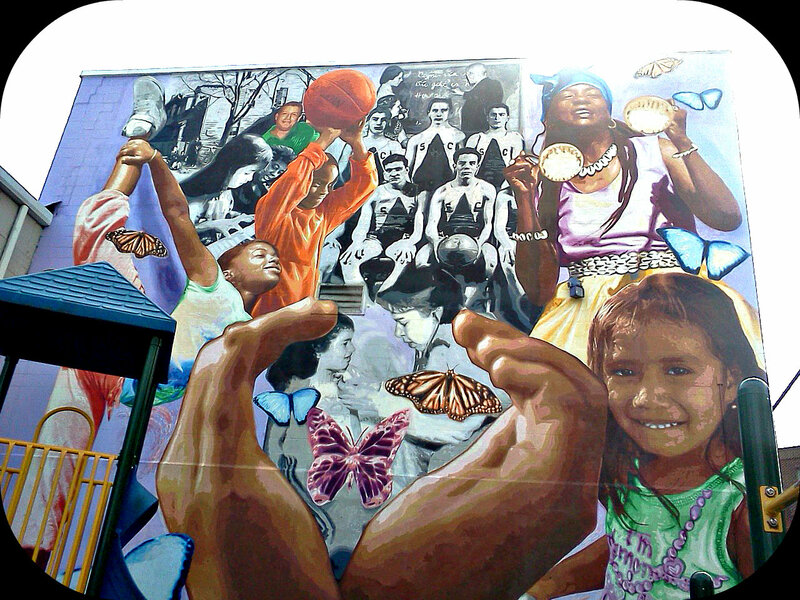 The mural coordinates with the the mission of the Neighborhood House because it displays the unity within the culture that immigrant families can be part of. 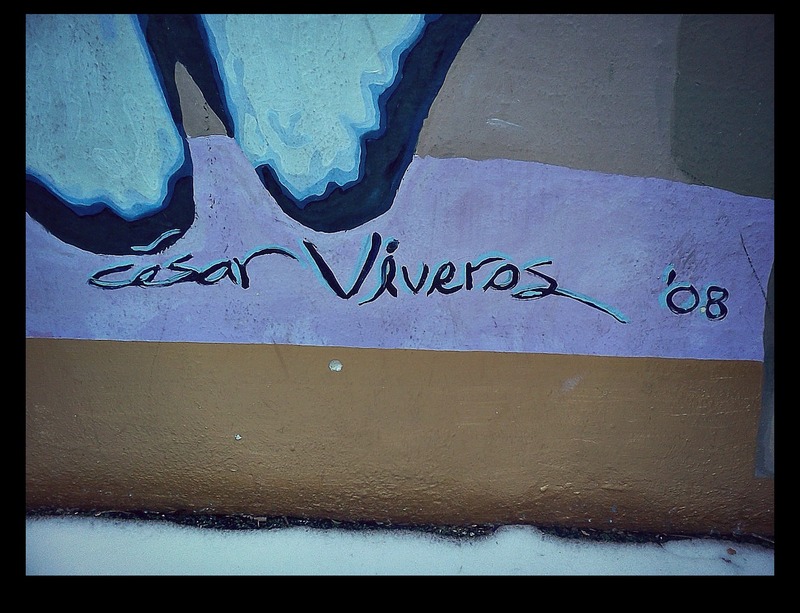 The mural affects the Neighborhood House because it is a symbol of community, activities, communication, equality, joy, and diversity. Art plays a major role in the development of a town or a city because it is a form of connection, significance, and purpose. It also gives a sense of security and a way to relate, recognize, and identify with the social environment. Jennifer Huber stated: The mural is a positive representation of cultures throughout many years and the diversity that is present throughout the house. And being a part of this in Morristown allows me to help a lot of people and to assist the needs of the community. Lashone Murphy stated: The mural was dedicated to the house in 2008 and the provider of the mural was the Arts Council Organization in Morristown. A committee also gathered together to discuss what they wanted the mural to look like. This house is a great support system and gives kids the opportunity to express themselves. I enjoy helping the people that attend the house because it is rewarding to have a chance to give back to the community. Especially since the programs offered helps children, teens, and adults.